Wizards of the Coast has announced another D&D first! The popularity of live-play is exploding, and now the PAX live-play event with Chris Perkins and Acquisitions Inc. will be broadcast live to 300 theaters around the US! Everyone who attends receives a free 32-page D&D adventure, which I had the pleasure of writing. The amazing Scott Fitzgerald Gray edited and developed the adventure! You can find and support Scott’s fantastic work here. Live-play has really taken off. It has become one of the best ways for people interested in roleplaying games to learn about them and to grasp how play takes place. In the pre-internet world, we struggled to read rulebooks and understand how the game should really be played and run. Organized play is a great boon, because we can attend a convention or store game and see how different groups play. Now tens of thousands watch these shows from anywhere and can follow entire campaigns, comparing the styles of master DMs and players. This year, the show Critical Role ran a live-play event at Gen Con. It drew 1,500 people and blew minds. Acquisitions Inc has been doing that for several years, and now the game can be watched in a movie theater! What is amazing is that the viewers are often not D&D players, but enjoy the concepts and the vicarious experience. Others are looking to learn about the game or are casual players who want to find a way to stay in touch with the game. With that in mind, I really worked hard on this project to make it accessible to new DMs. I tried to really think back on what it is like for new DMs and provide special information to help run the adventure. I think those tips will be especially useful for the live-play audience. The adventure is valid for Adventurers League, which should also provide a good gateway into future play. While live-play really helps us see how D&D is played, participating in organized play is a far better vehicle to keep people playing and bring them into the gaming community. Organized play also remains vital because not all people seeking D&D are interested in or know about live-play. This brings to a close an unbelievable year for me. Working on The Artifact for Adventurers League, the amazing opportunity to work on revitalizing the D&D Open, and then being able to write an adventure where fans have the opportunity for their characters to become interns for Acquisitions Inc? I really want to go back in time to the sixth grade and tell myself that life will one day get better and that D&D is absolutely worth all the long hours I spent back then. I am so very grateful to all of the people who are supportive of my work. Listen to the D&D Podcast, which opens with a short discussion of the event. What an adventure is worth: I have updated the lifetime sales for my adventures and added some numbers shared with me by others. The big news is that season 4 adventures, including The Artifact, are now generating modestly more through royalties on the Guild than we would have been paid via WotC directly. Season 2’s Howling Void and my own adventure Adamantine Chef are still not at that $500 threshold. My hourly wage for Adamantine Chef is now $4.20. Extra-Life: I am pleased to again join Wizards with their fundraising for children’s hospitals! I will be playing a 4 AM Pacific game on the morning of September 18th. Please check out my page and help if you can – this is for a great cause. Extra-Life is what brought life to this site, so I am very fond of it and the help you provided. You can donate to any of the other team members here. Thank you!!! Lifetime 5E PHB sales: Mike Mearls shared on Twitter that 5E PHB sales have exceeded the lifetime sales for the PHB from 3E, 3.5E, and 4E. Details on 1E and 2E are less clear, making it harder to measure. 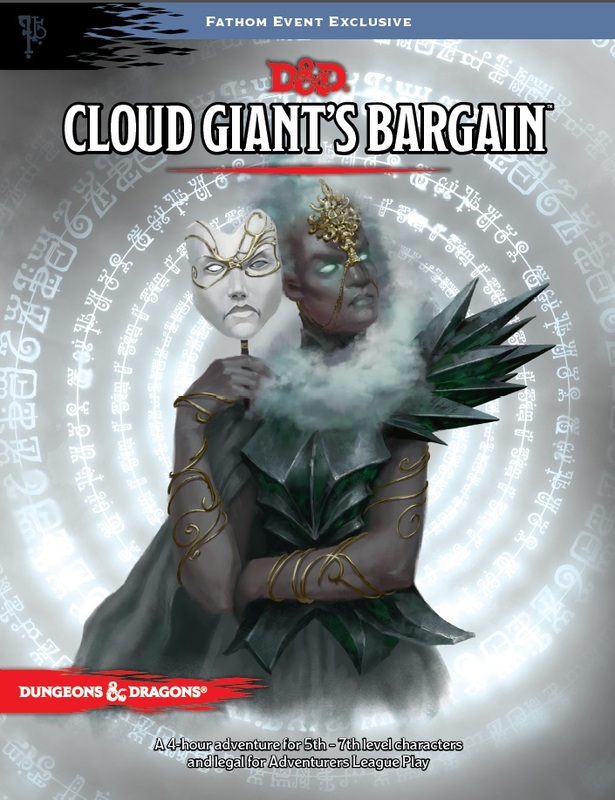 But, the 5E sales are likely to be at least very close to those numbers, if the claims of Ryan Dancey (who has a reputation for being louder than he is accurate) are at all true. In 2011, Dancey wrote at The Escapist “[3rd edition] was the most successful RPG published since the early years of 1st edition AD&D,” “It outsold the core books of 2nd edition AD&D by a wide margin.” And, later he wrote “The one thing I can tell you is that when TSR did the transition from 1e to 2e in 1998, they sold 289,000 Player’s Handbooks in 1998. We sold 300,000 3e Players Handbooks in about 30 days. And the trajectory of the rest of the product line mimicked the PHB.” If 5E is beating 3E, then it stands to reason it is doing very well against 2E as well. Any way you look at it, the success of 5E is impressive. I am at a movie theatre in Salem, Oregon. They say they never received the adventure. Is there a way that we can produce a ticket and get the copy? As I understand it, this was a Fathom issue, and hopefully they respond soon and find ways to get the adventures to those who attended. I am really sorry to hear about the problem. Good news! 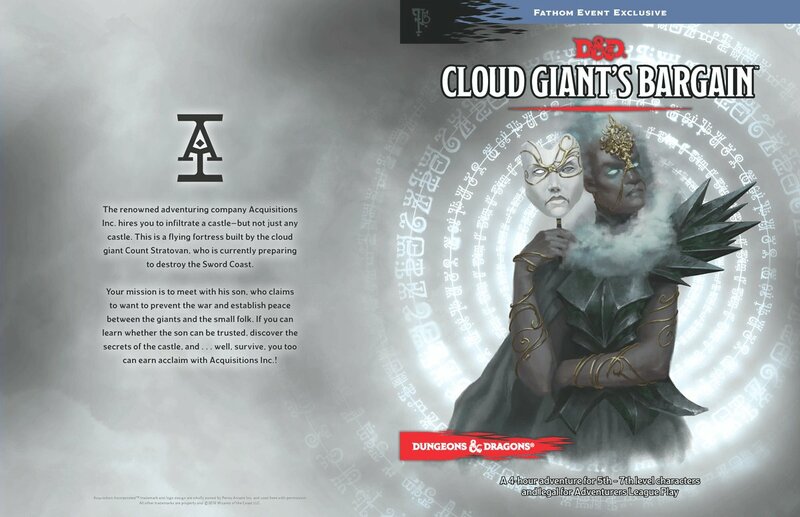 Wizards has posted about this and will send out copies. Also, you can contact the local theaters as some of them seem to have received the adventure late. They may have copies. This entry was posted on August 13, 2016 by Alphastream and tagged 5E, Authoring, Conventions, PAX.